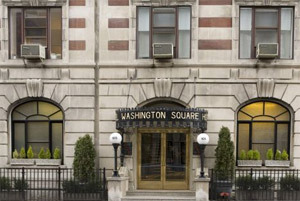 Think of your time at the Washington Square Hotel Serenity Suite as a relaxing escape and a necessary treatment. Unlike many large spas where nothing is customized, it’s all about the fluff, and treatments must run on strict timing; our treatments and massages are provided in a Private cozy room inside the Washington Square Hotel. 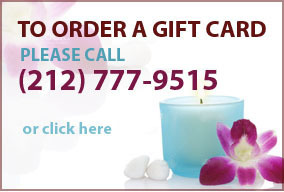 During your treatment, we cater to each client as an individual. It’s your room, your space, your time. New York City is known for its memorable hotels, but Washington Square Hotel in Greenwich Village brings its guests something even more personal and unique, hidden away in our Serenity Suite. Check in with our Hotel, then after a day of sight seeing or shopping in the fabulous variety of New York City, ease your stiff muscles and aching feet in our restful Serenity Suite, and then spend the night in one of our excellent private rooms. Following a relaxing massage or facial in the Serenity Suite, enjoy a refreshing lunch in the Washington Square Hotel’s excellent restaurant, the North Square Restaurant and Lounge. Jennifer is a member of the Associated Skin Care Professionals.